They join acts including Sam Smith, Rita Ora, George Ezra and Olly Murs at the two-day event at Earlham Park, Norwich, next month. Already announced to play are Florence + The Machine and Taylor Swift. 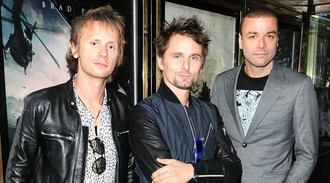 Muse frontman Matt Bellamy said: “I’m very excited to play. The last time we played Big Weekend, for us it was a disaster, so I can’t wait to make up for it on this performance. Around 50,000 tickets for the gigs were snapped up last month in 40 minutes – with most of them going to people living in the local area. The last time Muse played a Big Weekend was Dundee in 2006 when their seven-song set was their first live show for two years.